India Sudar Learning Center started at Kadapa District, Andhra Pradesh. We have started India Sudar Learning Center at Ramannapalli Z.P. High School, Ramannapalli Village, Chennur Mandal, Kadapa District – 516 161, Andhra Pradesh. 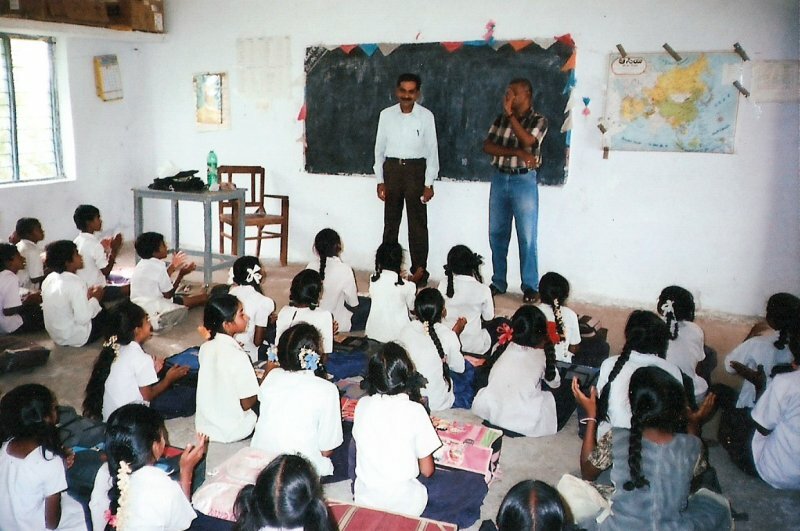 We deployed two teachers to teach Mathematics, Science and English for 7th standard students. India Sudar Learning Center, Ramannapalli Z.P. High School, Ramannapalli Village, Chennur Mandal, Kadapa District – 516 161, Andhra Pradesh. Benefited Students: 49 Students (Girls – 31, Boys – 18), It will increase. Attached project reports & learning center photos for your reference. Visited to Ramannapalli Village in Cuddapah District of Andhra Pradesh. Ramannapalli Village, Cuddapah District of Andhra Pradesh. On 10-Nov-2007, I have visited to Ramannapalli Village in Cuddapah District of Andhra Pradesh. It’s 266 Km from Chennai through Train. I have visited to this Village in guidance of DR.M.UBAIDULLAH Who is very much interested to provide education for Poor Students in Cuddapah District. My purpose of visit needs to understand this village student education status and setup tuition center for this village. There are three habitations in this village viz., Ramannapalli Main, Ramannapalli Harijanawada and Modala. There are 715 households in Ramannapalli Village. The total population of the village is 2,000. Most of the people in this village belong to backward castes and scheduled castes. The people living in this area depend on agriculture and some are weavers. A vast majority of the head of the households are illiterates and poor. The total student strength in the two primary(1st to 5th) schools is 306 (159 boys and 147 girls). In the high school (from Class VI to X), 241 students are studying. (121 boys and 120 girls). Most of the children”s parents are working as labourers. A vast Majority of the children are poor in studies. Mr.Prasad, who identified this village and provided complete information about this school.